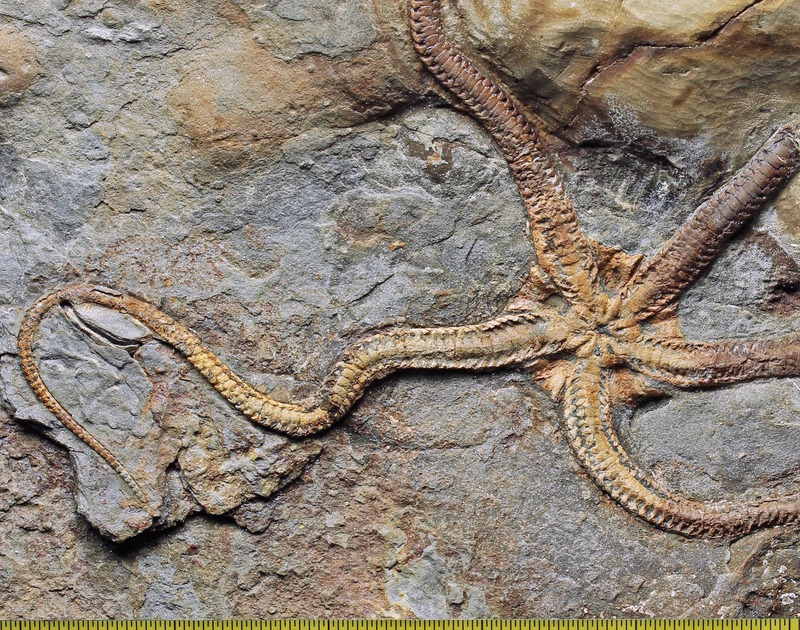 As often the case with brittle stars and other starfish, this shows the oral surface and is on the underside of the sandstone bed. The bed below it is a shale and the base of the sandstone represents a sudden influx of sediment which preserved the brittle star nearly intact. 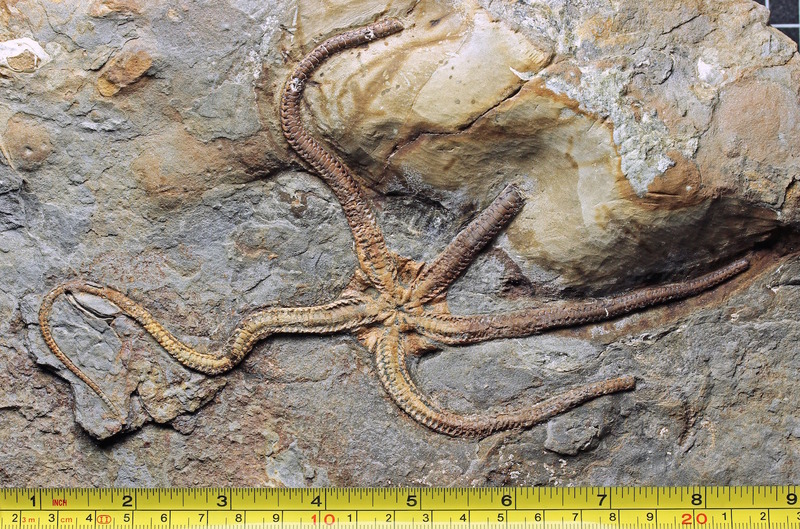 This was Invertebrate/Plant Fossil of the Month Sept 2014 and Fossil of the Year 2014. Wow! What a gorgeous brittle star! I had to take an extra few seconds of looking just to make sure it wasn't still alive! This is truly one of, if not THE most spectacular Brittlestars I have ever seen. Beautiful! Is that the ventral side? Thanks, @BobWill. 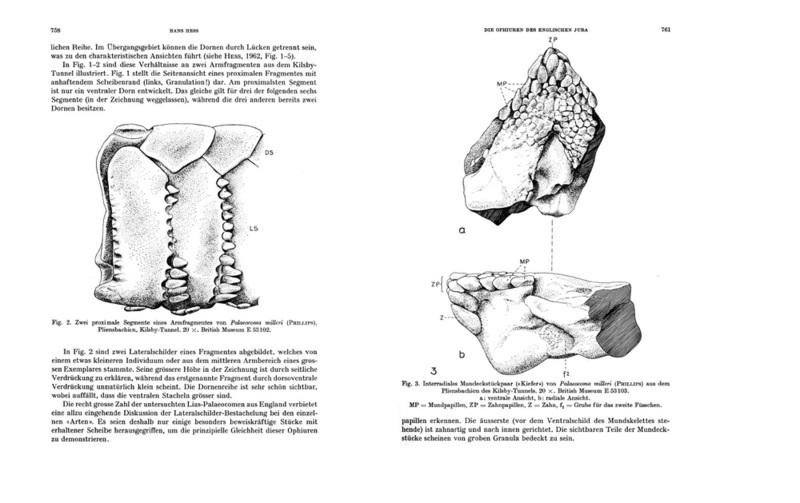 Yes, dorsal presentations are scarce because of the mode of preservation on the base of sandstone layers. That is ONE awesome well-preserved ophiuroid,Tarq. So does this mean the creatures were likely right-side-up when they were covered by sand and then we see the sandstone layer turned up-side-down? Exactly - it's a common feature of starfish/brittlestar sudden burial scenarios, sometimes with a shale as the underlayer that allows relatively easy prepping.